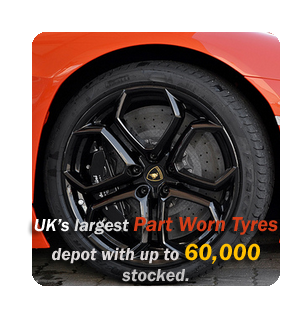 High Performance Tyres Northwich are designed for use at higher speeds, and more often, a more “sporty” driving style. They feature a softer rubber compound for improved traction, especially on high speed cornering. The trade off of this softer rubber is shorter tread life. Top Gear Tyres Nortwhich specialises in nearly new 4×4 High Performance Tyres including sizes 15″, 16″, 17″, 18″, 19″, 20″, 21″, 22″ all in low profiles like 50, 45, 40, 35, 30, 25 and 20 series.